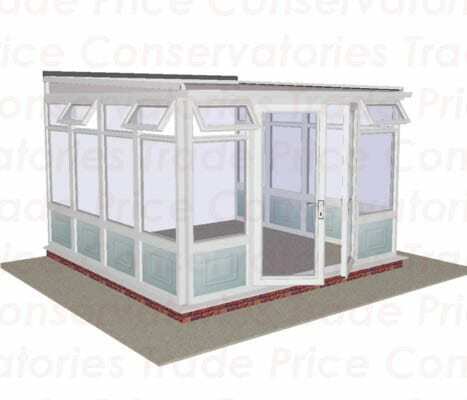 Below are the DIY conservatory styles that we can offer, to view prices please click on the links below. 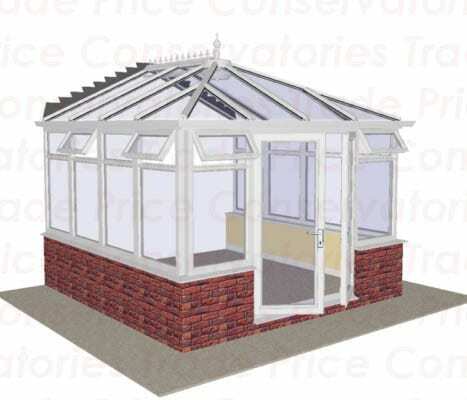 This type of DIY conservatory is ideal for Bungalows & restricted heights. 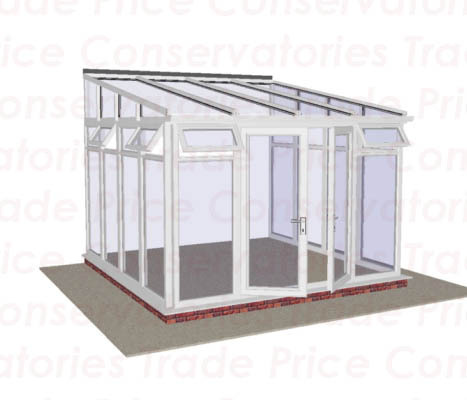 Tailor make your own conservatory, call us for more details on this service. 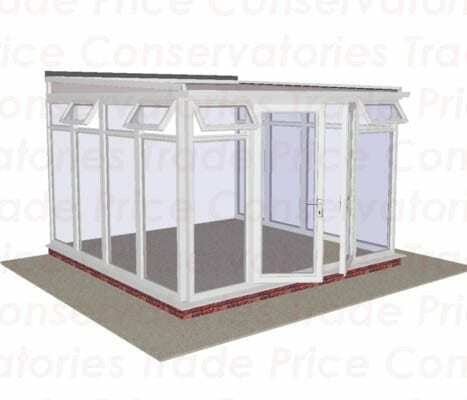 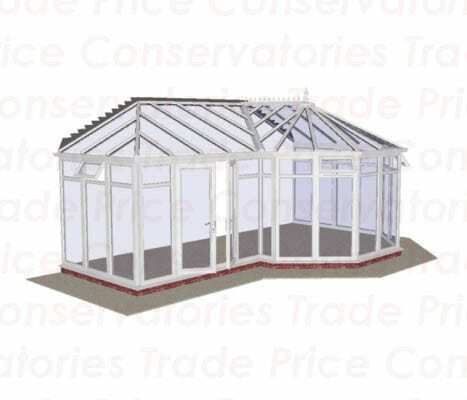 This would be the most economical conservatory to add on to an existing structure. 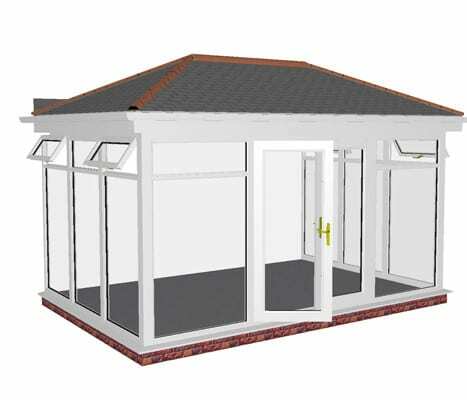 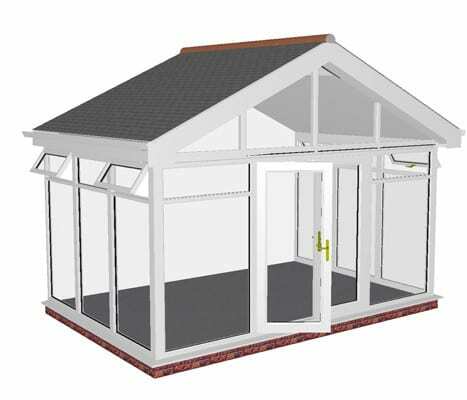 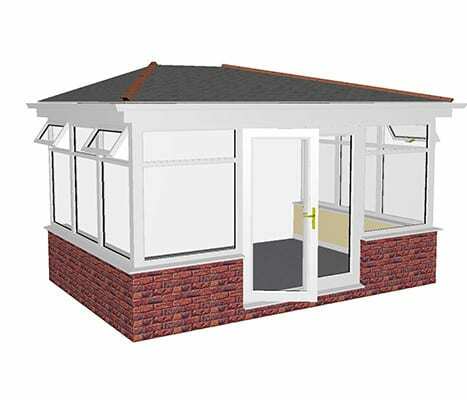 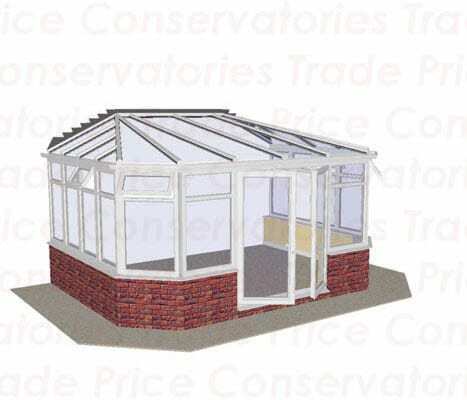 The lean to conservatories use one existing wall of that structure or even a property garden wall. 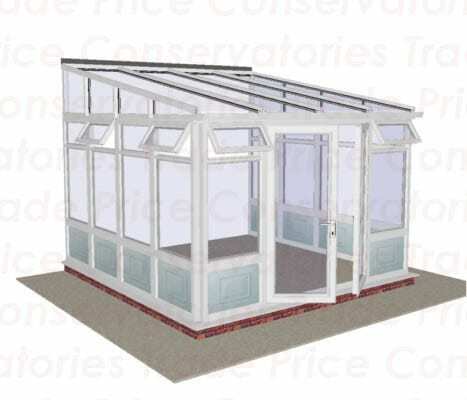 It can also enhance the beauty of the structure or be used to upgrade the existing patio or deck area. This not only gives more outdoor and indoor options but it allows entertaining guest for outdoor functions to have an indoor option with inclement weather. 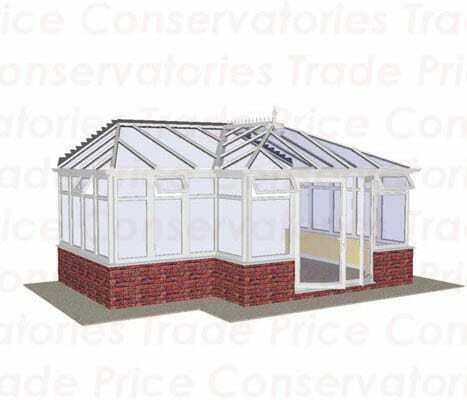 The lean to low pitch conservatories is one of the most popular windows to the world for the average modest income home owner. 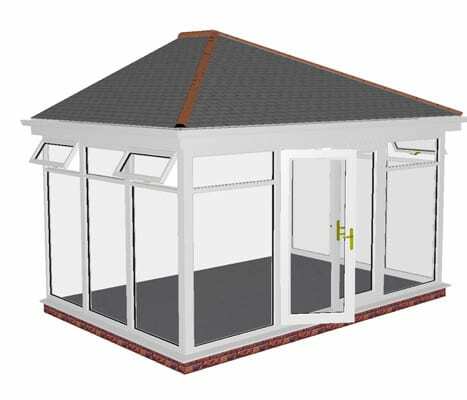 There are designs of simplicity and dimension that will be erectable by a person with handy capabilities and the correct tools by following our prescribed stepwise process to completion. 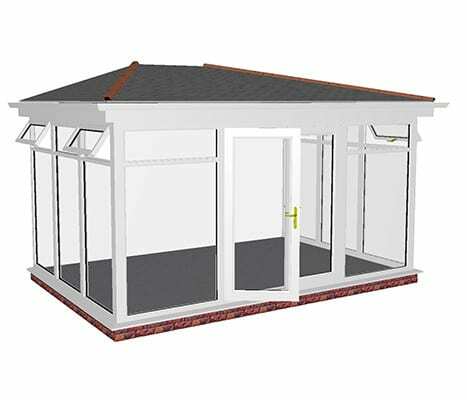 There are also those with polycarbonate self cleaning windows with all weather technology available for all season use. 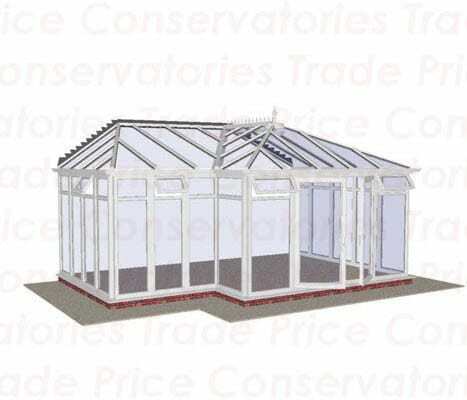 The Lean To Side Hipped Conservatories is an eye catching style with a three sided roof that gives a pleasing dimension to the design. 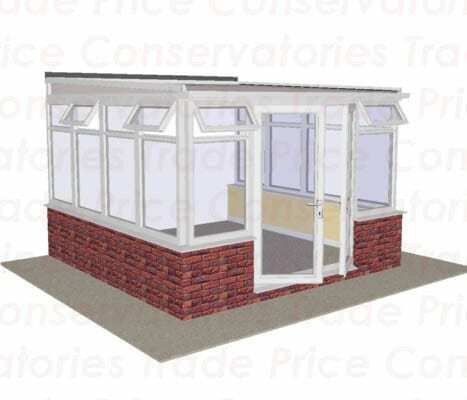 The modest sized design has a 600mm Dwarf Wall feature. 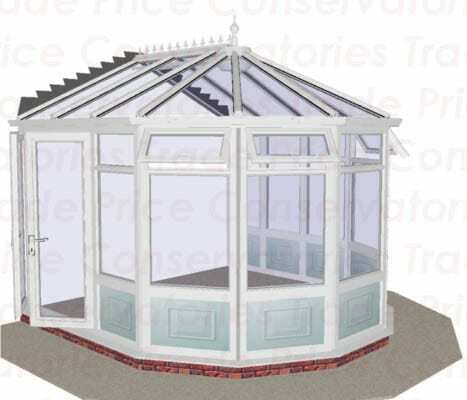 The fanlights and the doors can be positioned on the front, right and left views. 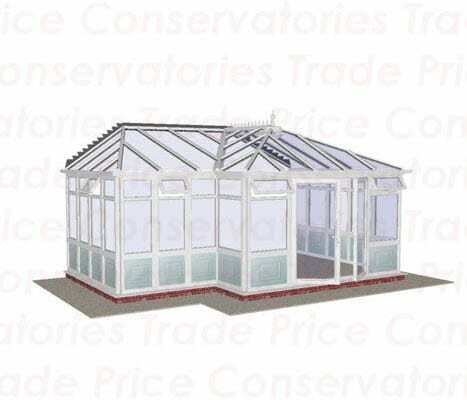 This type of conservatory works well with the durabase bases made of steel and with toughened safety glass made of double glazed units. 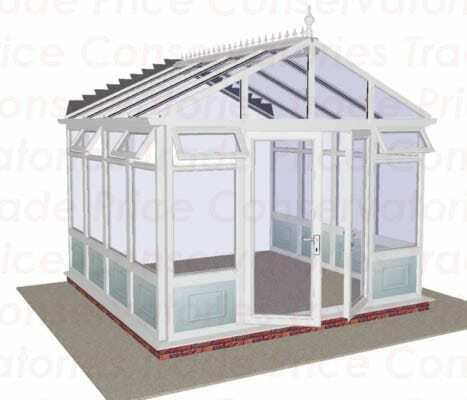 The Edwardian conservatories look elegant and strong with distinct lines, giving the largest space for sitting, living and enjoying the ambiance of natural light and a view of the world. 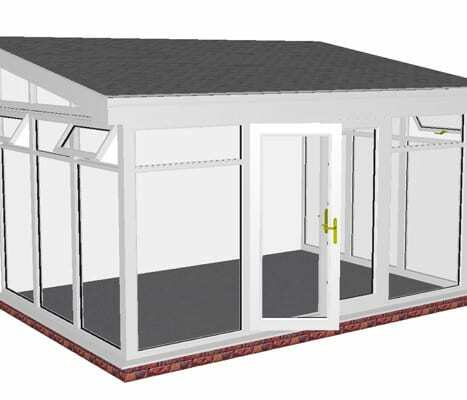 The style adapts perfectly to all types of homes or bungalows, even if there are certain height restrictions in the neighborhood. 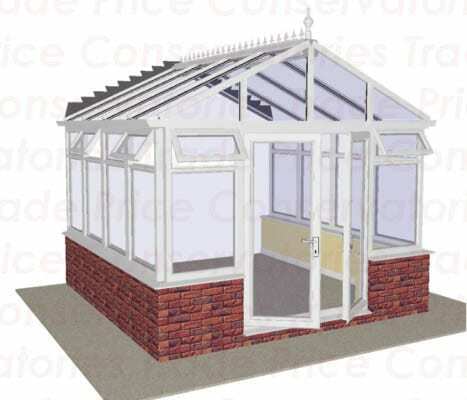 The Edwardian Double Hipped with Box Gutter will suit a bungalow and height restricted structure well, offering the box gutter as a standard feature. 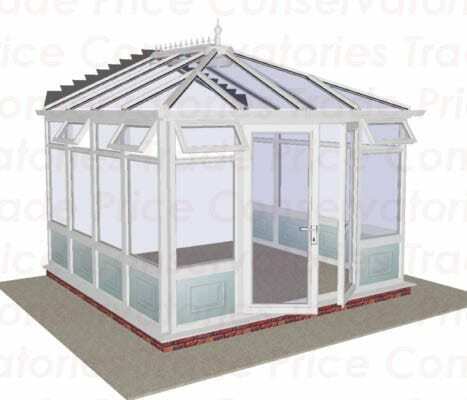 These Edwardian styled conservatories have high-insulating, polycarbonate, multi-walled roofing systems with the maximum thickness of 32mm with the glass roof upgrade option. 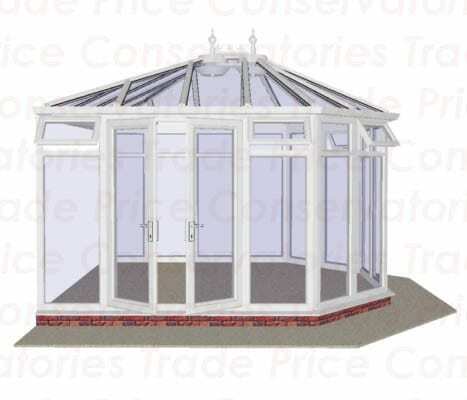 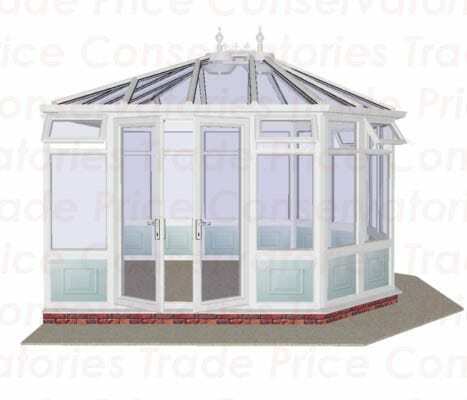 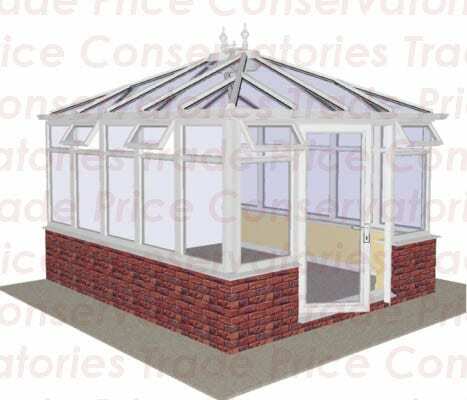 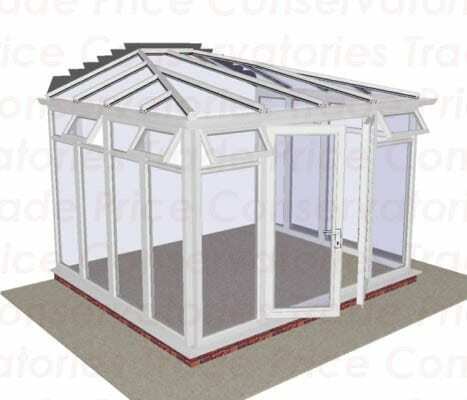 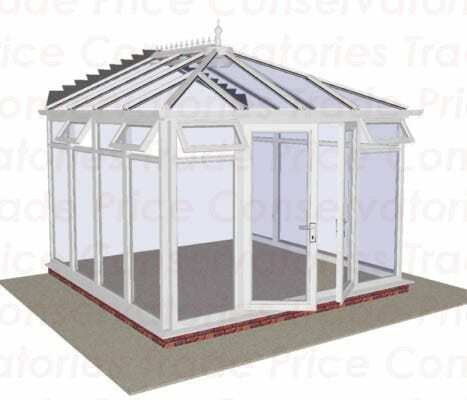 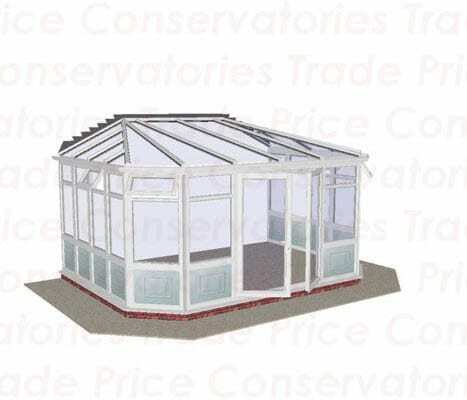 One of the most beautiful and classical English designs is the Victorian 3 Facet Conservatory. 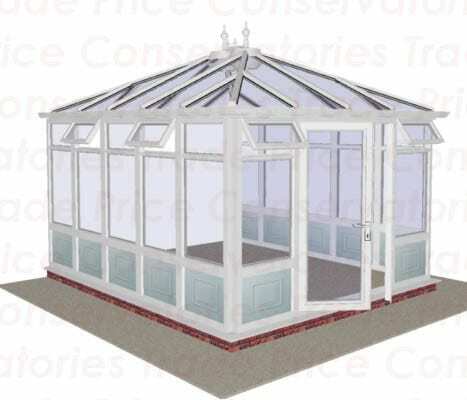 It has a look of antiquity and style that gives that much desired window to the world. 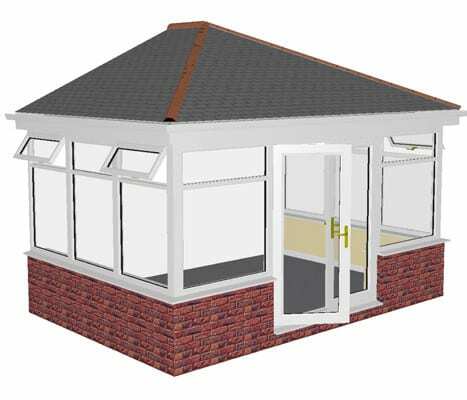 This particular style will fit appropriately to any house or bungalow, adding value and practicality with a polycarbonate roofing system. 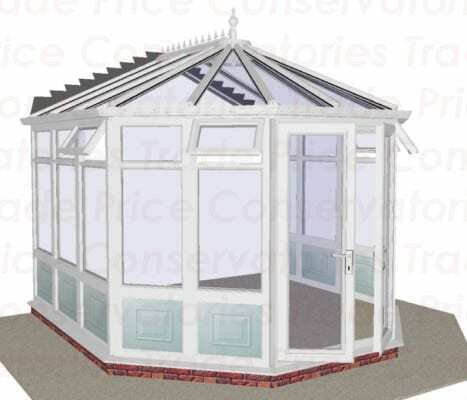 The Victorian 3 Facet Double Hipped With Box Gutter Conservatory will give a similar appearance as the 3 Facet, but with the more pronounced and boxed gutter system mounted on the roof trims for more desirable rain management and a very attractive appearance. 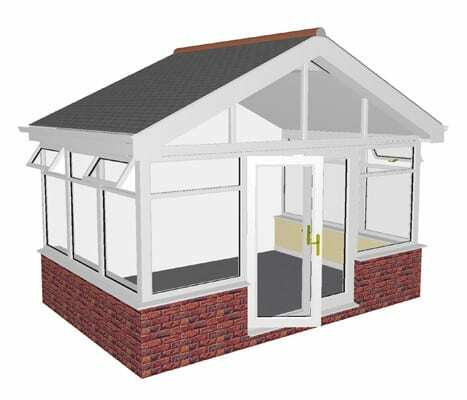 This style is adaptable to any size house. 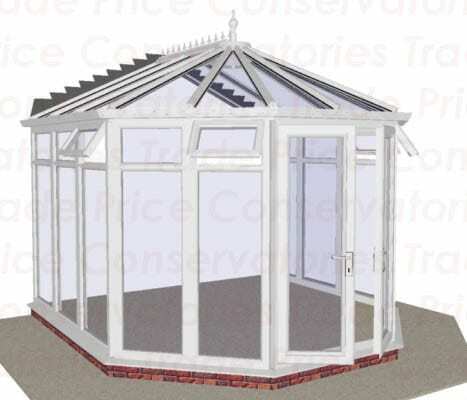 This feature in the roof design of a Victorian Conservatory gives another added dimension to the projection of the structure, allowing more space for the floor plan and a very smooth appealing look for those who enjoy curvatures to their living space. 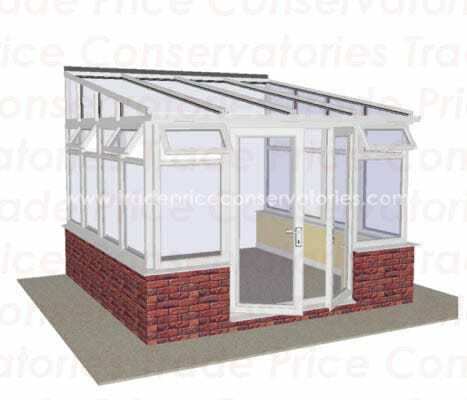 As the projection increases with the width so does the price, yet it is a surprisingly economical home enhancement. 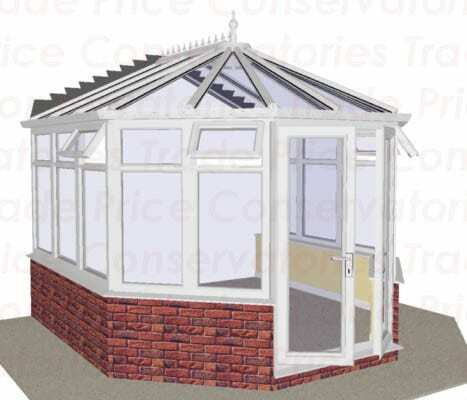 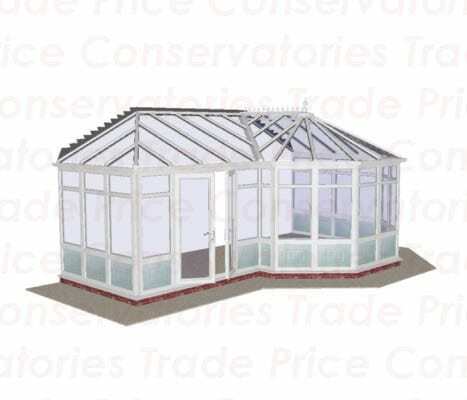 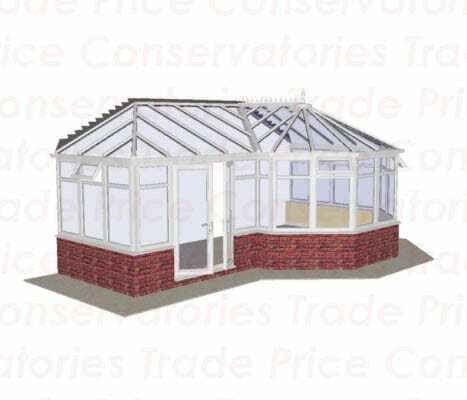 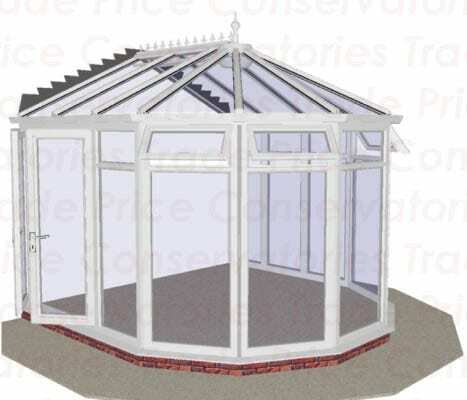 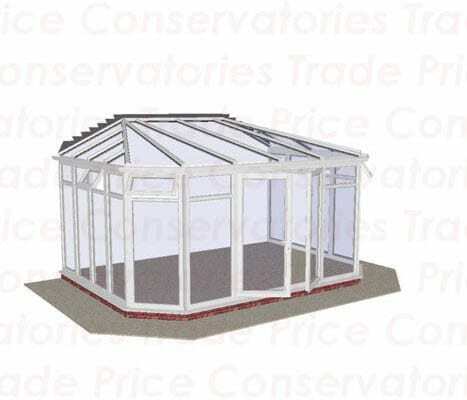 The Victorian 5 Facet Conservatory offers a curvaceous theme with the added space from the extra two panels that are added giving even more room for living and letting the light of the world into the house. 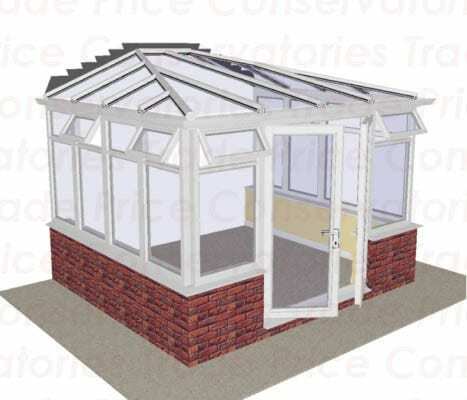 A variation on bases can also be chose with brick base or a base with floor window for improved ventilation. The famous house of the Seven Gables comes to mind with the conservatory with a Gable End. 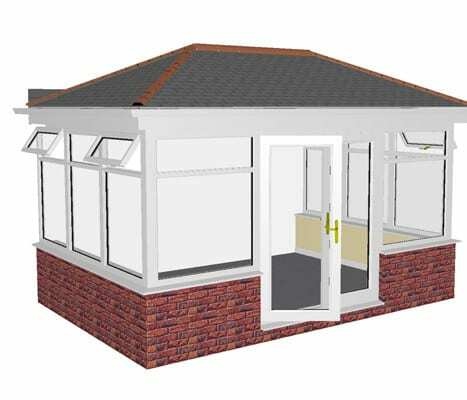 This type of face give the most added living space as it raises the top area with flat faces extending up to an apex from the front to the roof line. 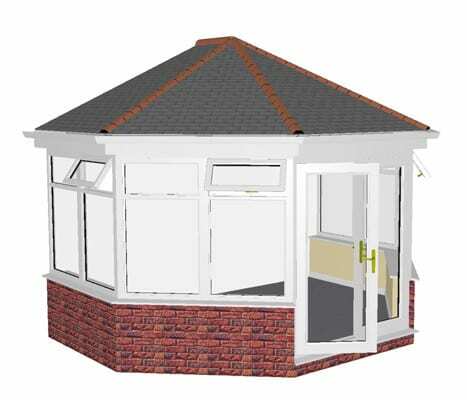 It fits very well for bungalows and all styles of houses. 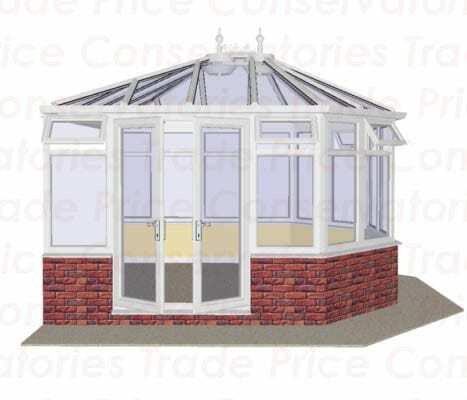 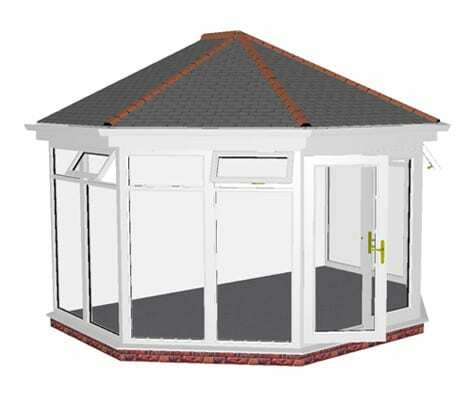 This style of conservatory can combine the sun lounge or Victorian feature and even the Edwardian or Gable End style in a suitable house style to fit bungalows and any type of homes. 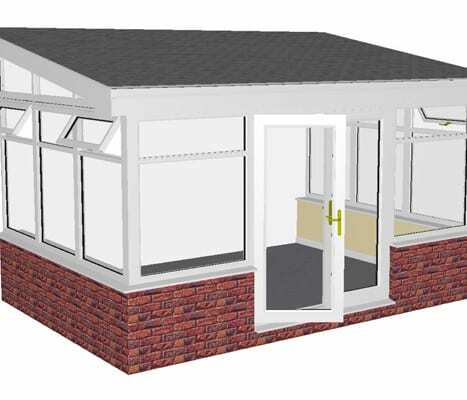 The Gullwing will add a contemporary look to the home that can fit on the full width of the a wall. 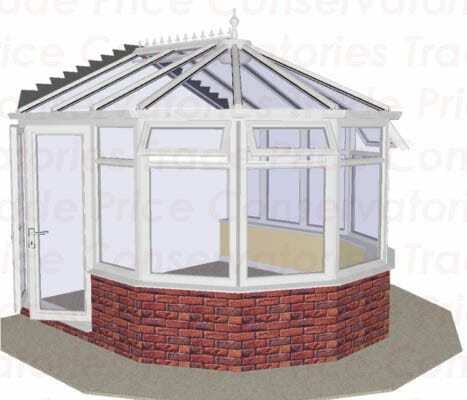 This design gives a perception of a span of wings when looking at the roof as it fans from a central point in the wall of the house.